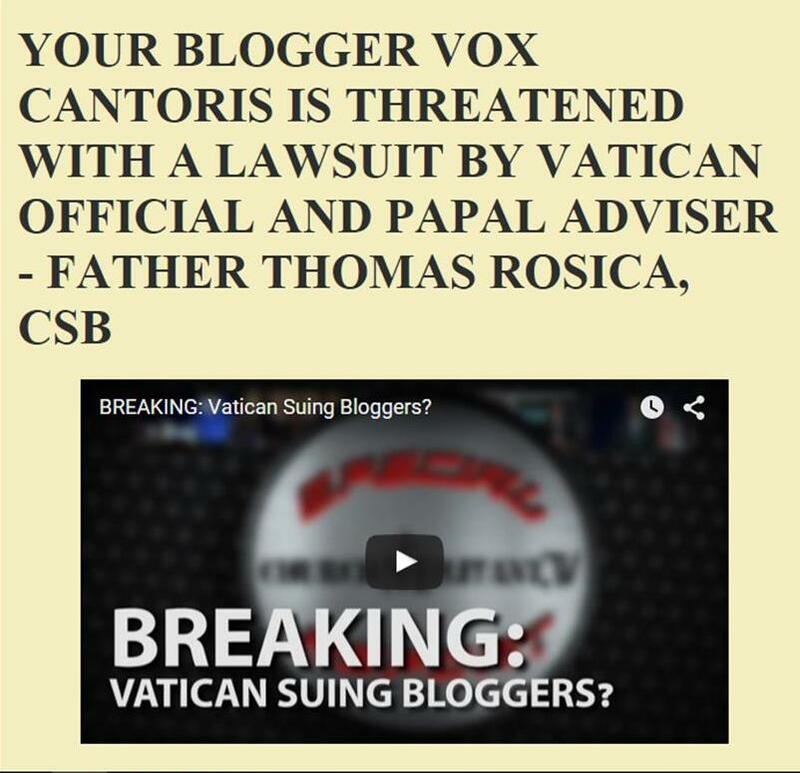 Vox Cantoris: Voris exposes homosexual mafia under Timothy Dolan! Voris exposes homosexual mafia under Timothy Dolan! Michael Voris sits down with a high-ranking source in the archdiocese of New York to get exclusive behind-the-scenes information on what really goes on with Cardinal Timothy Dolan and the alleged homosexual mafia that reportedly runs the archdiocese. Well, blockbusting as this may be NOTHING will ever be done about it, because you see, these men do not carry a "gay lobby" ID card, thus, there is nothing to see. All these men have to do, if their consciences needle them, is enter the confessional, remain silent, receive absolution and carry on. What's the big deal!? This is a non-story. Can't Mr Voris see this? He's spinning his wheels. Voris and his CM team have intentionally ignored the myriad heretical, semi-heretical, and spiritually ambiguous words flowing from Pope Francis. Church Militant is guilty of dereliction of honest journalistic duties. Yes, yes. Good work, of course. I suppose we would find these "irregularities" in other dioceses, too. But being the outrage artist that he is, his credibility is irrationally limited by giving Pope Francis a pass who is supposed to be de boss. Voris should eb cautious of his criticisms. What happens if one of these clerics he constantly criticizes should ascend the Throne of Peter one day? My goodness, imagine the retractions and denials from Voris himself! I would not donate a half-penny to Church Militant. I heard something unusual in M. Voris' voice while making his commentary. It was much quieter then usual and lacking certainty. Hopefully I am mistaken about this. Before I was banned from CM I expressed an opinion there that this scandal might lead to M. Voris' undoing, because Cardinal Dolan is very powerful, likely well-connected with the homo-mafia in Rome, and will destroy him. If M. Voris had any reason to believe that he could appeal to the pope for support, should Dolan ignore the scandal and allow for it to continue, he would be successful. But he is likely not going to be, because the pope will either ignore this as he has thus far, or he (his people) will destroy Voris. My suspicion is that Voris has already tried to get some help from Rome, and received a very troubling response (if there was one) - hence his unusual tone.